Having a startup disk full is one of the most common things that a Mac user will experience. Sound a difficult problem, right? Do not worry, because this type of issue that you may experience on your Mac has a lot of solutions that you can do. Here, we are going to talk about several things about your startup disk full, how are you going to find them, how to fix them and how you could prevent this from happening in the future. Once that you click on “Manage”, you will be able to open a menu for you to see what is taking up on your storage. But doing this will just move all of your junk files to your iCloud and will eventually make you buy more storage for your iCloud. Part 2. Why is Startup Disk Full? Part 3. How to Clear Some Space On Your Startup Disk? Part 4. What’s Causing Startup Disk Full? Part 5. What is taking up all of my startup disk space? Part 6. How to clean up your Startup Disk? A startup disk is actually a partition of a drive which contains a valuable operating system. This means that the hard drive of your Mac does consist of disks. Each of these disks contains the data on your Mac. These data are your operating system, applications, files, and more. Most Mac’s product actually have just one disk, however, power user have the capability of having two or more. • It has a capacity of the 500GB hard drive. • Since it only has one disk, that means all that 500GB is located on that single disk. • The disk on your Mac as your operating systems like the macOS High Sierra, your user apps, and more. • This hard disk also serves as your startup disk. However, if you actually have a Mac that has two hard disks, then that means that storage indicated above will be divided into two. One of them will have your operating system and the other one will serve as your storage for your files. Stating what is obvious for the reason as to why your Mac startup disk is full is because it contains more files and other data. Always remember that a hard disk should not go beyond 85% capacity. If this happens, then your Mac will perform slower and you will have more errors in using your Mac when you go beyond 85%. Once that your startup disk is full, you will be notified through a warning message from your Mac. Once you receive this warning message, then you should immediately take actions and free up space on your Mac. So, once that your startup disk is almost full or is already full, what you need to do is for you to remove data that you no longer need. For you to be able to do this, go ahead and remove files from your Mac that you do not need, move your important files to an external hard drive, or you can also install another internal hard drive. Of course, the first thing that you should do before finding out what data is actually eating up storage on your Mac, you must first find it. Here is how you can locate your startup disk. Step 1: Go to your Dock and then launch Finder. Step 2: Then, go ahead and select Finder in the menu bar located at the top part of your screen. Step 3: After that, go ahead and click on “Preferences”. Step 4: After that, a pop-up window will then appear on your screen. On that screen, go ahead and mark down “Hard Disk” by clicking on the box beside it. After that, your Mac will then start to show you its hard disk in an icon form. These are actually the disk/s that you can start up. The reason for this is because they carry your Mac’s operating system. If it happens that you have more than one hard disk, then go ahead and follow these steps. Step 1: Hit on the Apple icon located on the upper left side of your screen. After that, you will be able to see your hard disk again and they might carry names like “MainSSD” or “MainHD”. You will also be able to the operating system that is running on your Mac. If it happens that you have more than one hard disk, then your startup disk is the one that is carrying the latest version of macOS. Now, here is how you will be able to see what are the things that are actually taking up space on your startup disk. Step 1: Hit on the Apple icon from the menu located at the upper left corner of your screen. Step 2: After that, go ahead and select “About This Mac”. Step 3: Then, go ahead and choose “Storage”. (If you are using an older version of the macOS, then you have to choose “More Info” and then click on “Storage”. Step 4: After that, you will then be able to see all the data that is actually invading your startup disk. Now, since what you have now is a full startup disk and you have already determined what are those things that are taking up your disk, then it is time for you to clean up. Cleaning up your Mac means that you are also going to clean up your startup disk. This way, you will be able to free up tons of your storage space and you will also get your Mac to perform fast. For you to be able to do this, you will be needing the iMyMac Cleaner. 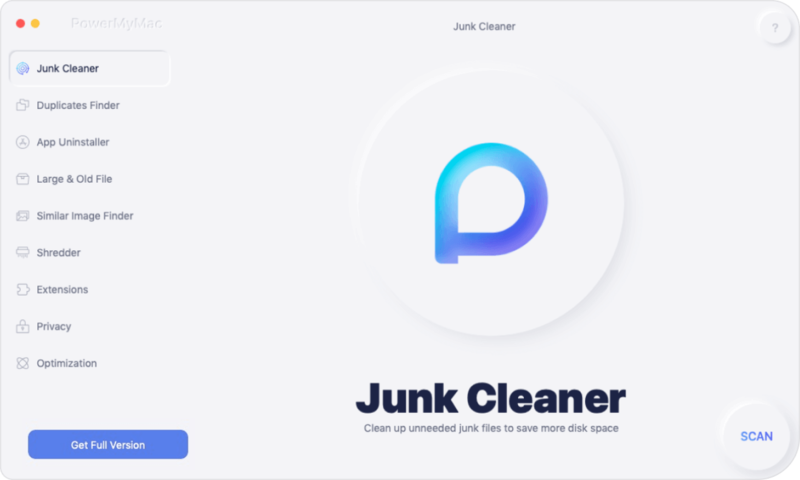 This is a third-party program that allows you to clean your Mac and your startup disk. Not only that, it can clean up the other junks that you have on your Mac such as your large and old files and your cluttered files. The iMyMac-Cleaner is very safe and easy to use. It will only take you just a few minutes to get the job done. Here is how you can use the iMyMac's Mac Cleaner for you to clean up your startup disk that is already full. Go to our official website at www.imymac.com and then download the iMyMac Cleaner. After the download process, go ahead and have the program installed on your Mac. After you have completely installed the iMyMac-Cleaner on your Mac, go ahead and run the program. On the main interface of the program, you will see the system status of your Mac. There is also a list of modules that you can choose from. From that list, go ahead and click on “Junk Files”. Step 2: Scanning the "Junk File"
Once that you have selected the module, you can go ahead and click on the “Scan” button. The iMyMac-Cleaner will then start scanning your Mac for all your junk files that you have. Wait until the program is done with the scanning process. 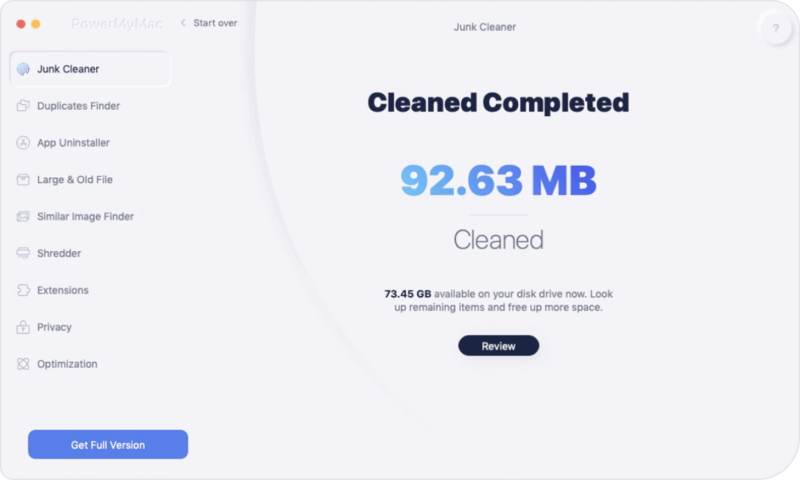 Once the process is complete, the iMyMac-Cleaner will then show you a list of junk files by category found on your Mac. 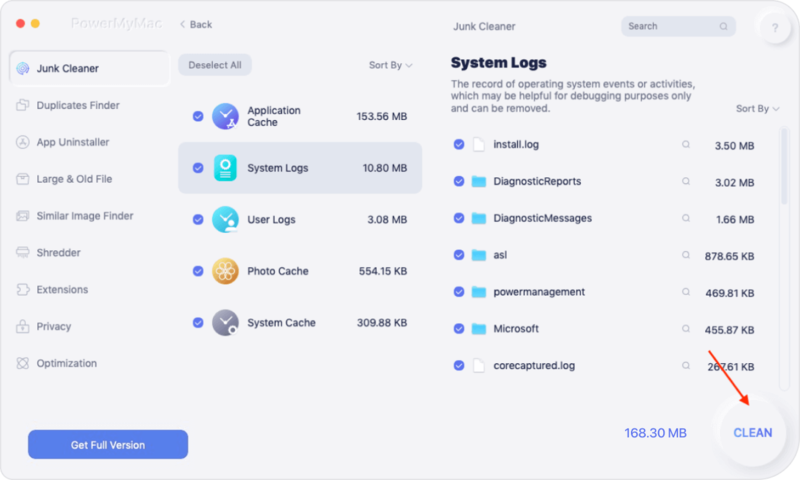 The iMyMac-Cleaner will show you junk files in a form of categories such as Photo Junks, Application Cache, Mail Junks, System Cache, User Logs, System Logs, and more. From that list, go ahead and click on them one by one. Once that you click on a particular category, you will be able to see the data that it contains. Go ahead and review all the data if you wish to. Then, once that you are all satisfied with the junk files that you have chosen, go ahead and click on the “Clean” button. The iMyMac-Cleaner will then ask you to confirm this action so all you have to do is to click on the “Confirm” button from the pop-up window that will appear on your screen. Once that you hit on the Clean button and had already confirmed the action, the iMyMac-Cleaner will then start cleaning up your startup disk. Once that the iMyMac-Cleaner is done with the cleaning process, you will be able to see an indication on each folder that says “Zero KB”. This means that it is all cleaned up. However, there are some folders that will not have this indication. This is because those folders are actually auto recreated folders but rest assured that everything is all cleaned up. Using the iMyMac-Cleaner is the easiest and quickest ways for you to clear out your full startup disk. However, if you have all the time in the world and wanted to clean your startup disk manually and wanted to know what are the things that you should be cleaning, then here they are. The cache on your Mac is somewhat considered to be the blueprint as it helps your Mac to run smoothly. However, over the time, the caches that you have on your Mac can start piling up and can take up a huge space on your Mac. Because of this, you must make sure that you clean your cache on a regular basis. The backups that you made on your Mac actually have the tendency to take up space on your Mac as well so make sure to remove those backup files that you no longer need for you to be able to free up some space. Some people are actually fond of downloading applications on their Mac. However, because of this, they tend to just pile up all those apps and keep them in their Mac and do not actually use it. For this, you must ensure that you should remove all apps that are not necessary to you by uninstalling them. You can use the iMyMac Cleaner program for you to uninstall those apps that you do not need. The softwareThis is necessary so that you can make your Mac look all tidy and clean. Organizing your desktop and getting rid of all the things that you no longer need. Doing this will help your Mac to get some space back and for it to run faster. This one is the most basic thing that you can do. Funny right? But we have to admit that even you have do not have this habit of cleaning up your trash. Keep in mind that files, folders, or applications that are in your Trash Bin are still taking up space on your Mac so you might want to consider on regularly emptying it up. Now that we have already discussed everything about your startup disk, then it is time for you to take some actions for you to prevent it from getting full. Remember that a full startup disk will cause your Mac to get slow. For you to be able to do this, you are lucky enough to have the iMyMac Cleaner. This program will surely help you in cleaning up your startup disk. Not only that, it can help you get rid of the things that you no longer need on your Mac. This way, this program will surely be able to help you free up space on your startup disk and as well as give it a boost on its speed performance. This software is one of the things that you should have for you to be able to keep your Mac safe, clean and of course, healthy.